Pam Baker, MSN, has been a nursing leader at Children’s for 36 years. 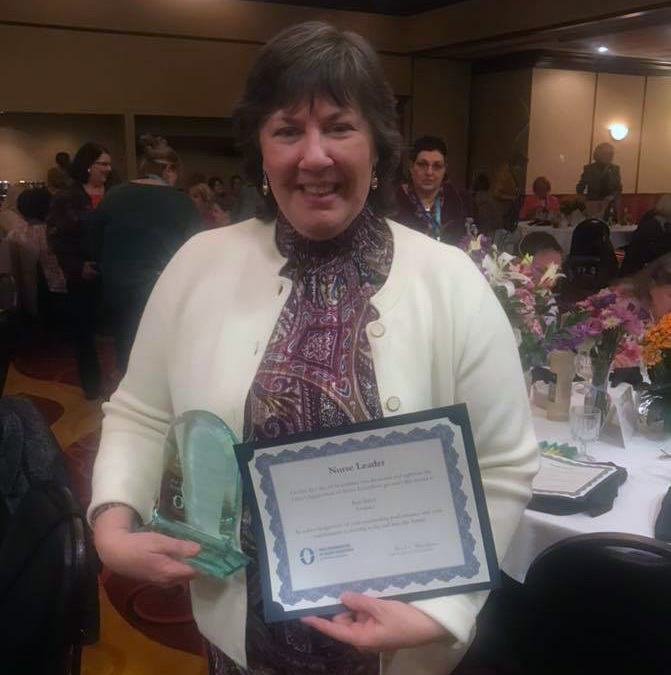 Congratulations to Chief Nursing Information Officer Pam Baker, MSN, for being recognized by the Ohio Organization of Nurse Executives (OONE) as their 2018 Nurse Leader of the Year. The award identifies a top nurse leader across the state for innovation in leadership of the workplace and profession, promotion of professional practice through research and publications, participation in strategic planning, mentoring and role modeling for future nurse leaders. An employee of Akron Children’s for 36 years, Pam began her career at Children’s as a staff nurse transitioning through the years to charge nurse, clinical instructor, clinical case manager, performance improvement coordinator, director of nursing and associate chief nursing officer. A role model for many, Pam has developed and presented over 23 nursing continuing education sessions at the local, state and national levels. She has served as a preceptor to numerous nursing students in graduate and undergraduate nursing programs. It was the traumatic injury of a childhood friend that inspired Pam to choose pediatric nursing as a career. That same empathy and compassion for her patients, as well as her desire to utilize research, advocacy and strategic planning to improve patient outcomes, has served Pam well throughout her career. 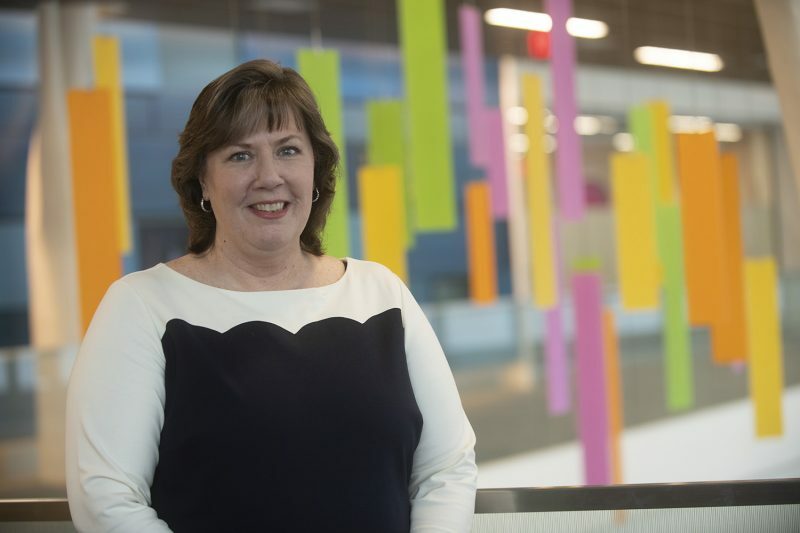 Pam has pioneered many “firsts” at Akron Children’s including being the hospital’s first associate chief nursing officer and now the first CNIO. “Pam translates how technology can improve care to the providers and clinical team by communicating the needs of the clinical team to the information services team and helps identify innovative solutions to improve patient outcomes and safety,” said Lisa. A few examples of this have been leading the implementation of a mobile device clinical team communication system and automating the integration of small and large volume IV pump documentation into the electronic medical record. Pam says remaining at Children’s for four decades has allowed her to grow and do different things while supporting her desire to advance her education and leadership opportunities. Pam has been a member of the OONE for 15 years serving at both the local and state levels. She was heavily involved in OONE/ONA’s Race to the Future Initiative and helped to create a toolkit to guide hospital CNOs in early implementation of the Ohio Nurse Staffing Law.